The first decision to make when planning a trip to Croatia is where to actually go. 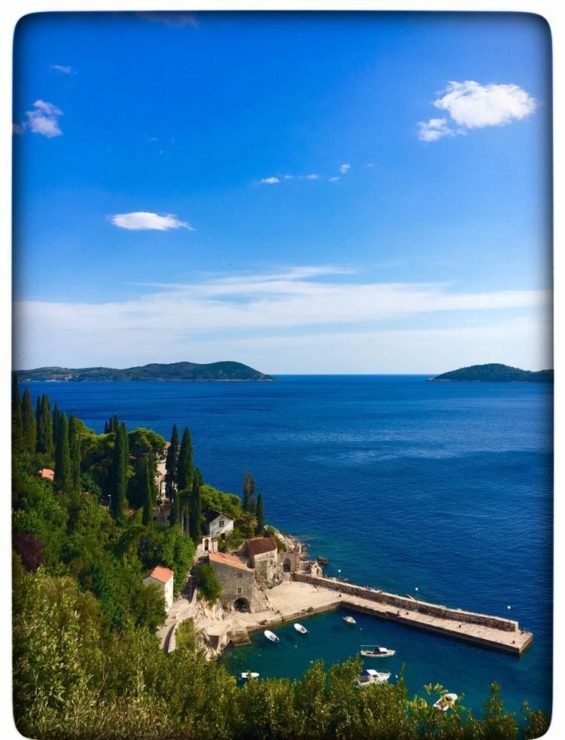 The choices are numerous when designing your Croatia itinerary – the wonderful cities of Split and Dubrovnik, the beautiful islands of Hvar, Brač and Korčula (to name just 3 of the many islands off Croatia) or the gorgeous National Parks. Wonderful, beautiful, gorgeous…just 3 adjectives to describe a country that is rapidly growing in popularity as a destination of choice for holiday makers from all over the world. We decided to not only visit Croatia but use it as a springboard to some other destinations we have wanted to explore for a while. My itinerary therefore not only includes information about Croatia but also trips into neighbouring Montenegro and Bosnia-Herzegovina. We didn’t end our holiday in Croatia but travelled on into Slovenia, Austria and Switzerland before flying home. Altogether we took 3 weeks to complete this trip but obviously it can be shortened or extended depending on you own requirements. The first 7 days in Croatia provides a perfect Dubrovnik itinerary whilst days 8 -15 detail an itinerary for Split. Combine the two and you have a fantastic 2 week holiday! 7th century : At this time historians believe Croat tribes moved into Dalmatia. 10th century: King Tomislav creates the Kingdom of Croatia when he unites Dalmatia and Pannonia. 11th century: Hungary take over Croatia. 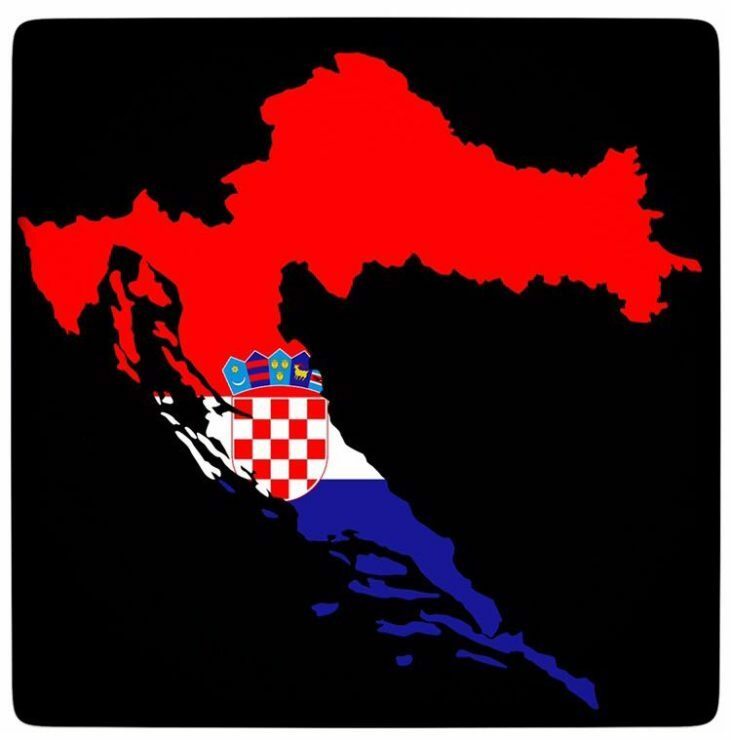 Over the next few hundred years Croatia resists attempts to conquer it by the Ottoman Empire and joins the Hapsburgs and eventually the Austro-Hungarian Empire. 1918: After WW1 and the break up of the Austro-Hungarian Empire Croatia descends into civil war. 1945: Tito takes over as leader and Yugoslavia is born out of Bosnia, Croatia, Macedonia, Montenegro, Slovenia and Serbia. 1991: Croatia declares its independence from Yugoslavia. 1992/5 : The Bosnian War. It is estimated that over 100,000 people died in what was the most horrific war in Europe since WW2. The murder of numerous civilians characterised this brutal and bloody war. Since the end of the war in 1995 many of the leaders have been tried and found guilty of war crimes at the International Criminal Court at The Hague. 2018 : 20 plus year after the end of the war Croatia is a safe and independent country with a strong economy and a stable government. It is growing in popularity every year with an estimated 18.5 million tourists visiting the country in 2017. After exploring the options we found it was best to pre-book a transfer to the hotel. If you have reserved accommodation in Dubrovnik Old Town a taxi has to drop you off at the main Pile Gate as it is pedestrian only. The airport is about 20 km south of Dubrovnik – enjoy the views as you drive towards the city! We decided not to actually stay in the Old Town itself which I would also highly recommend! It can become incredibly busy especially in summer (and even worse when the cruise ships dock). We decided to stay in an area called Babin Kuk which is at the northern end of the Lapad peninsula and only around 4 km from the Old Town. Babin Kuk itself is a lovely. It has a long pedestrianised street with lots of cafes and restaurants which is great in the evenings and was ideal for us as we had chosen a self-catering option. Babin Kuk is a perfect area for families with numerous hotels to suit all budgets. There are lots of walking paths in Babin Kuk as well as Copacobana beach which is the longest beach in Dubrovnik. We stayed at the Villa Antea Apartments which have an 8.3 rating on booking.com. The apartments were great value and the swimming pool, though small, had the most spectacular outlook! 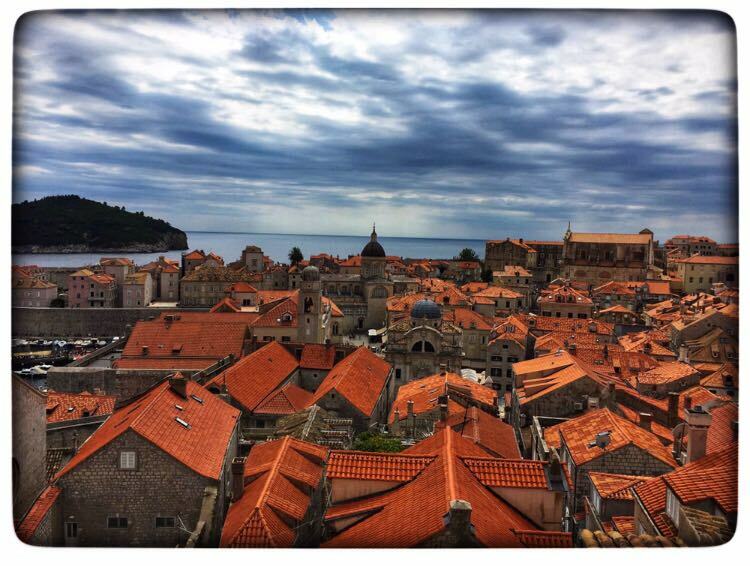 We spent a couple of days exploring Dubrovnik Old Town. To get to the Pile Gate (entrance to the city) from Babin Kuk catch the number 5/6 bus. Buy your tickets on the bus as you get on. The buses do get very busy at times so try to go earlier in the day or later afternoon. If you are planning to walk the walls I would highly recommend doing this early in the day if you are there in summer. It is incredibly hot and there is no shade. Also make sure you are wearing comfortable flat shoes, put on plenty of sun screen, take a hat and a bottle of water! 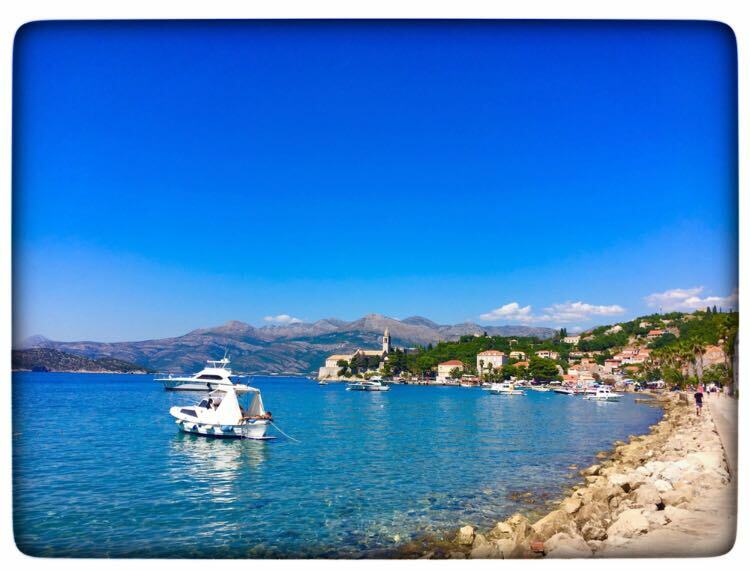 If you are in the Old City catch a ferry across to the island of Lokrum. The island is only 600 metres from the city. No-one lives on the island and there are no cars so it is an idyllic location to relax for an afternoon. We didn’t spend more than a few hours at a time in the city as it was very hot (late August) Staying in Babin Kuk we had access to some lovely walks later in the afternoons. On one of these walks we discovered the Cave Bar at the Hotel More which I would highly recommend. The views were beautiful at sunset. We also booked an evening meal one night. 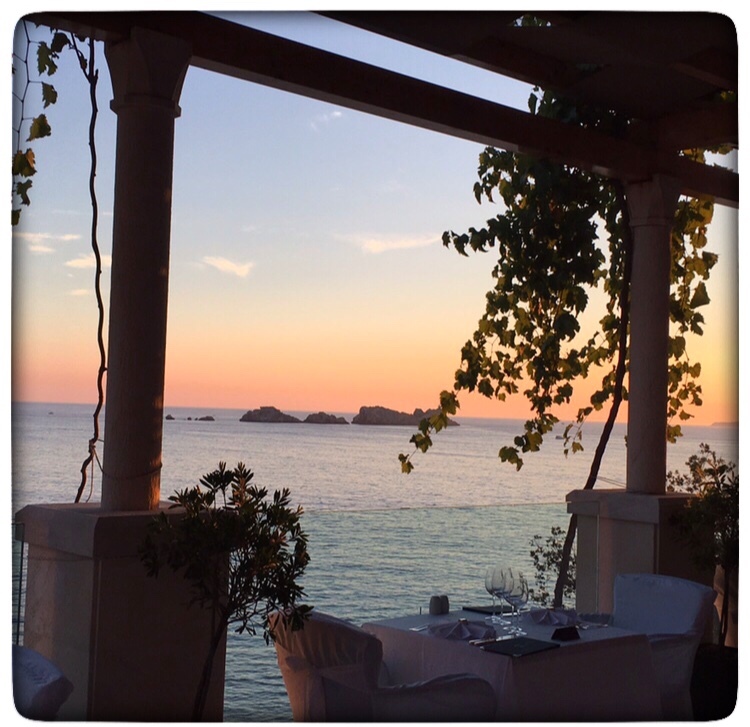 It was a most wonderful place to enjoy a romantic dinner with my husband. 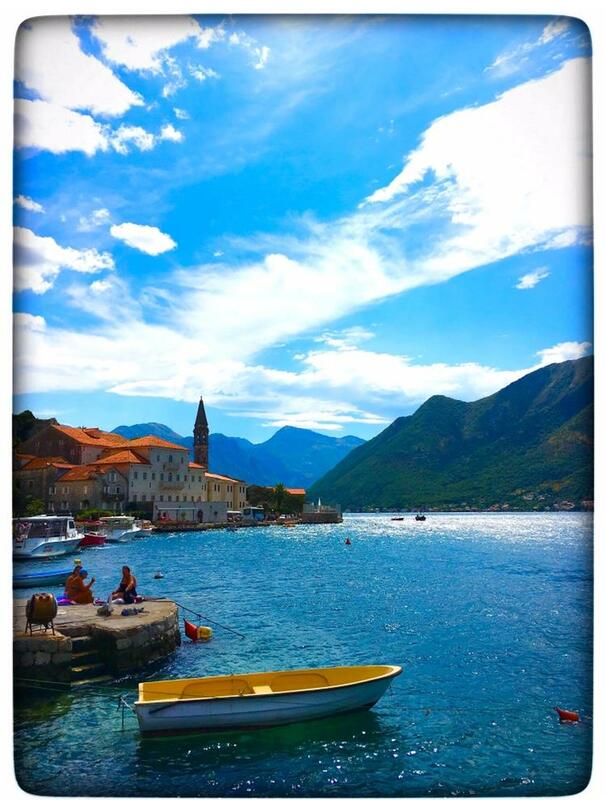 We decided to take a couple of day trips from Dubrovnik to two of the surrounding countries – Montenegro and Bosnia Herzeovina. There are a large number of tour companies offering day trips to Kotor Bay and Kotor in Montenegro and Mostar in Bosnia Herzegovina. I did a lot of research as I didn’t want to be part of a large tour. I was looking for something more personal. And I found that with Cheap Dubrovnik Tours. They offer bespoke tours with your own guide/driver for the day. Tell them what you want to see and they will give you options for your day’s itinerary. You are picked up and dropped back off at your hotel. As neither myself nor my husband is fond of driving this seemed like an excellent and affordable option. We had two excellent and informative days out with the company and we cannot recommend them highly enough. I have already written all about those trips in some detail. As a special treat for my husband I hired a boat for the day to take us sailing around the Elafiti Islands. The islands are a short boat ride to the north-west of Dubrovnik. We had a fantastic day and visited 2 out of the 3 inhabited islands. Being skippered for the day in a boat all to ourselves was a wonderful experience. When I was researching and planning our holiday I came across a stunning photograph. The picture had been taken at Arboretum Trsteno which had also coincidentally been used as a setting for some scenes of Game of Thrones. Arboretum Trsteno is a short bus or taxi ride from Dubrovnik. We enjoyed a few hours wandering the gardens and enjoying the rather spectacular view. I have noticed mixed reviews from visitors to Arboretum Trsteno on Trip Advisor but we enjoyed our visit.If you have the time I would certainly consider visiting. We took the catamaran from Dubrovnik to Split. This service takes approximately 4 hours and operates between April and October every year. There are no car ferries between the 2 cities. Other options to travel between Dubrovnik and Split include taking a bus or hiring a car and taking a road trip. The ferry stops in Korcula, Hvar and Brac. We found it to be a pleasant journey and I would add a stay in Hvar to our itinerary if we take this trip again. The islands looked incredibly beautiful. To book the trip (which I did as soon as I had organised our itinerary) you have a choice between 2 companies sailing this route. Kapetan Luka Catamarans is a private company while Jadrolinija is the state run company. 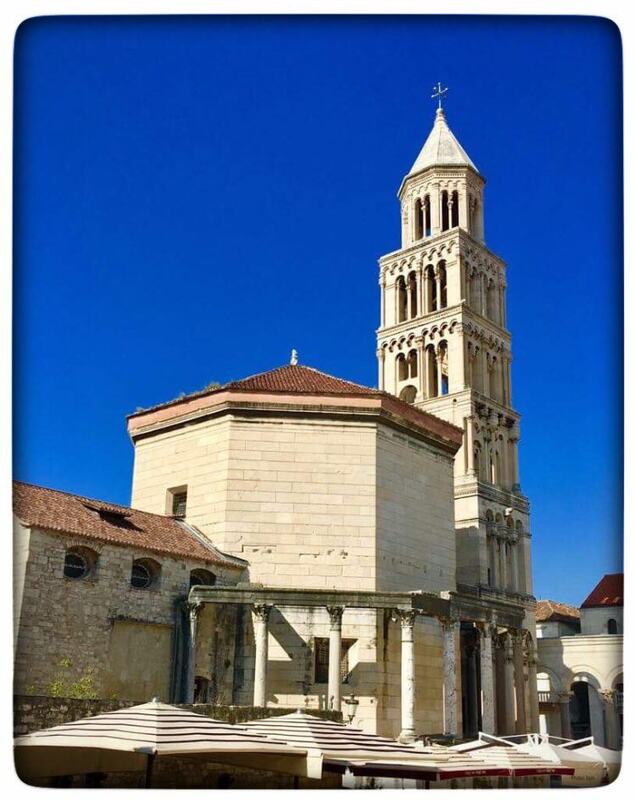 One tip when booking your accommodation in Split is to look for hotels/apartments etc within the walls of the Diocletian’s Palace. It is like being able to stay in the middle of the Forum in Rome – can you imagine? We stayed in a lovely apartment called Apartment Kaleta which was perfect. Beautifully furnished, well equipped, and in a wonderful part of the Old Town I would highly recommend it. Split took me by surprise. I unexpectedly and unequivocally fell head over heels in love. While I had been expecting the beauty of Dubrovnik Split for me outshone it in every way. 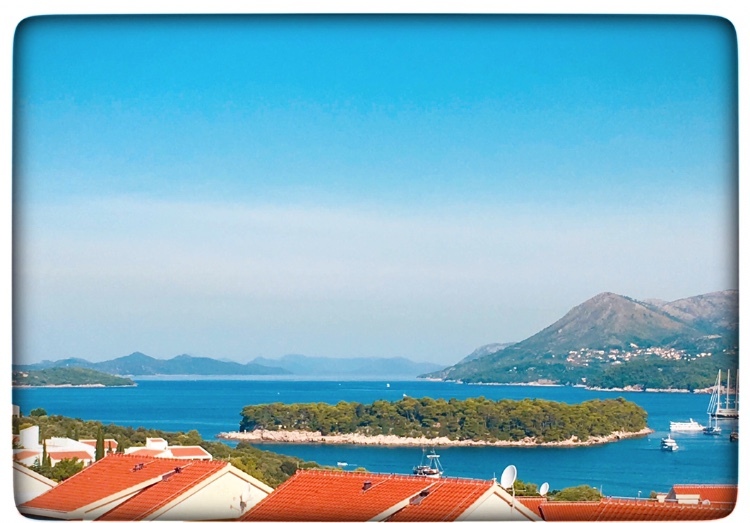 With the Dalmatian mountains behind and the Adriatic at its shores it is easy to understand why, 1700 years ago, a retiring Roman emperor chose it as the site on which to build his palace. Diocletian’s Palace takes up about half of Split’s Old Town. Entering through one of its 4 impressive gates will lead you into a living museum. It is in my view the most impressive Roman building left on earth. Today people still live in the Old Town – within the walls of this great palace. Can you imagine? There is so much to do and see in the Old Town. At night wander the streets, have a meal or drink in one of its many restaurants, cafes and bars or just soak in the ambiance. Stroll the Riva, the palm tree lined promenade in front of the Palace and watch the sun go down with a cocktail. There are many tours available in Split. I would highly recommend learning more about the history of this city and Diocletian’s Palace and a tour is a great way of doing this. If you are a fan of Game of Thrones there are tours which will take you to the areas used in the filming of the series. As we had an apartment we were able to save on costs by self-catering. The market is a great place to buy fresh fruit and vegetables and there is also a fish market to purchase some fresh catches brought in by the local fishermen from the Adriatic. There are also some lovely restaurants in Split and we did try out a few! 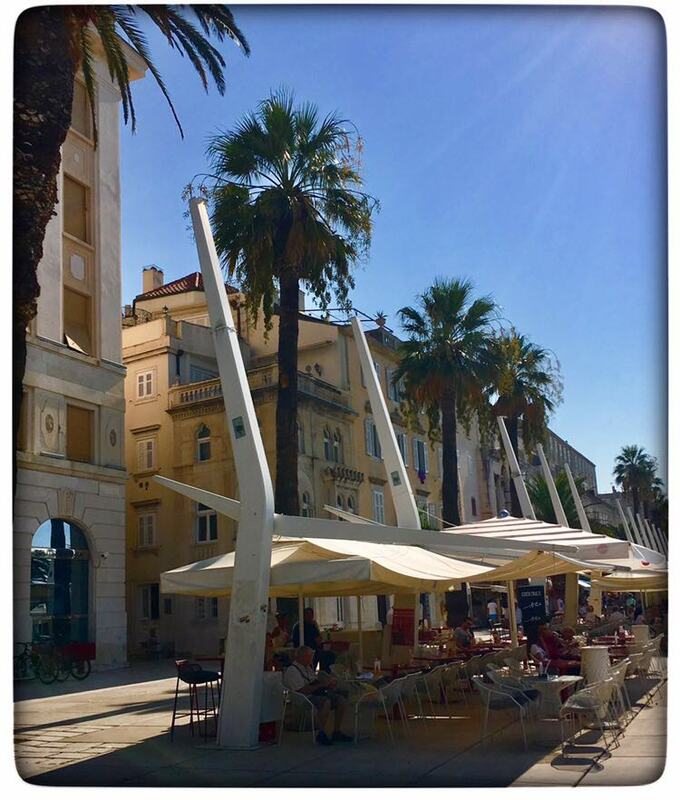 Our favourite place for breakfast was Bepa which can be found in in the square at Narodni trg. For dinner I would recommend Chops Grill for great steaks and seafood. Also buy a freshly made smoothie or ice cream and enjoy an evening stroll along the Riva! I try to visit UNESCO World Heritage Sites during our trips if possible. 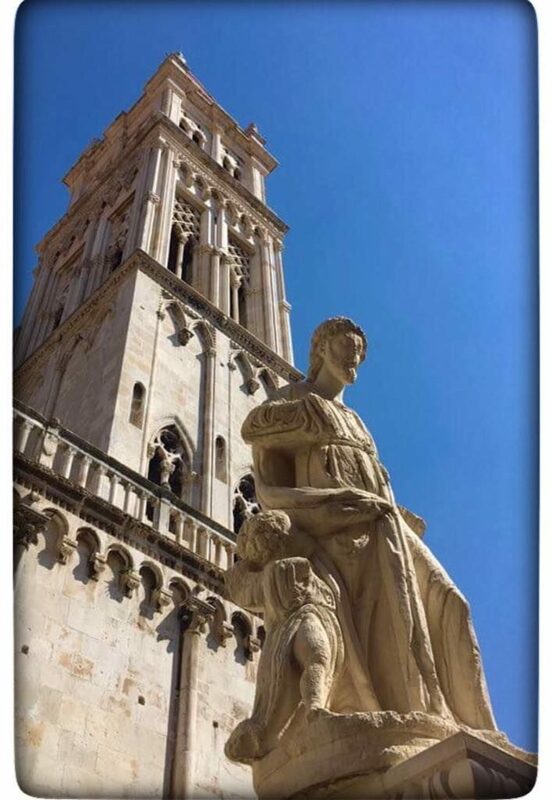 I had identified 2 sites in Croatia that were within a stone’s throw of Split – Trogir and Šibenik. Although I booked tours to visit both it is possible to hire a car and drive or take a bus. I don’t like large tours and I always look for companies which offer small group options. I chose tours with Viator as I find them affordable and generally well organised. Trogir is a set within medieval walls on an island linked by bridges to the mainland. It is known for its mix of Renaissance, Baroque and Romanesque buildings. Šibenik is the home of the 15th-century stone Cathedral of St. James which is decorated with 71 sculpted faces. I would recommend visiting both Trogir and Šibenik if you have time. 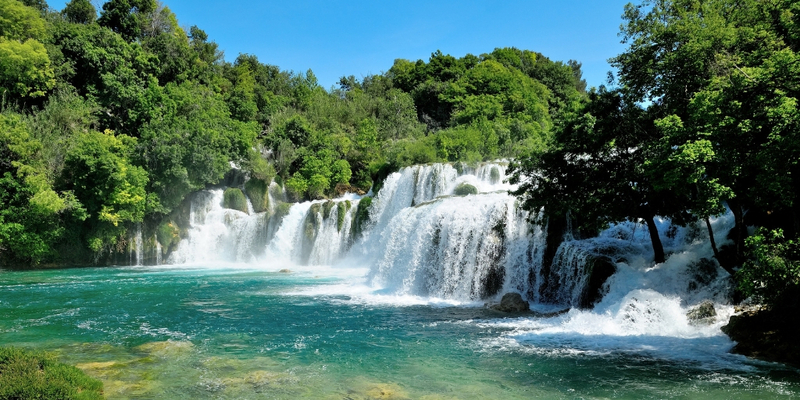 KrKa National Park is 87 kms north of Split. Famous for its beautiful waterfalls is a popular day trip. 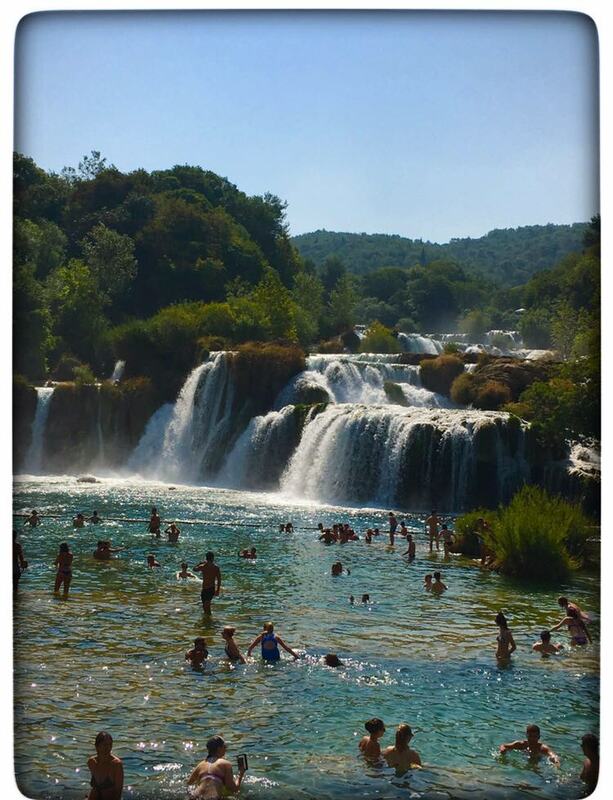 We again booked our trip to KrKa with Viator. If you can’t fit a visit to Plitvice into your travel plans (as we couldn’t) I would definitely head to KrKa. The waterfalls are stunningly beautiful – take your swimming gear as here you can actually swim in the gorgeous clear water! 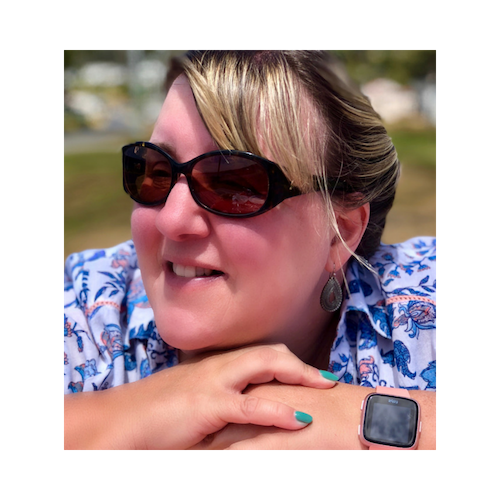 My husband loves train journeys and so rather than taking a day tour to Plitivce Lakes and onto Zagreb (the capital of Croatia) which is offered by many of the tour companies he wanted to make the journey via train. This was a mistake. The train line between Split and Zagreb was like a roller coaster. It took 6 hours and although the scenery was lovely the journey was uncomfortable. Luckily we took food and drinks with us as there were nothing available to purchase on the train. This is easily the worst train trip I have ever taken. I would consider hiring a driver to take you between the 2 cities, catching a bus or taking one of the tours which starts in Split travels to Plitvice Lakes National Park and then onto Zagreb. Plitvice Lakes are a UNESCO World Heritage Site and Croatia’s most popular tourist attraction. I would highly recommend visiting them and they would certainly be on any future itinerary. We spent a day in Zagreb before catching our onward connection to Slovenia. The Croatian capital is served by many airlines so is an ideal place to end your Croatian holiday. Alternatively you could, like us, continue on into SLOVENIA! The currency used is the Croatian Kuna though many places accept Euros. I hope my itinerary has inspired you to book that vacation to Croatia. It is a beautiful country. Thanks yes we had a really busy but amazing holiday! Yep it was a busy one! I had just returned from 3 weeks travelling Italy too! Wow!You managed to see a lot in three weeks. I’ve been living in Croatia for almost 2 years and I still haven’t been to Krka wateralls and Plitvice lakes. 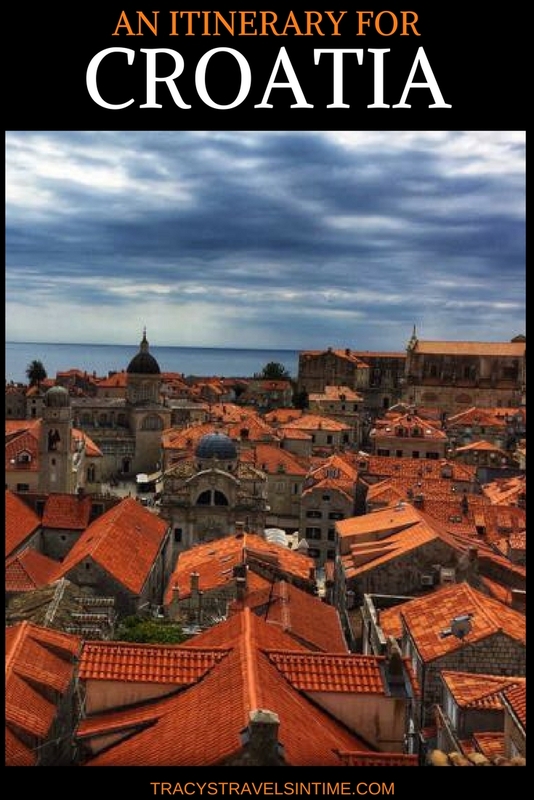 I only hear awesome things about Croatia, and I love that your post really spells it out for us! 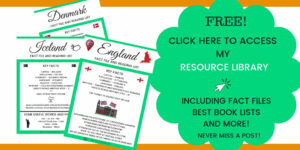 Book marking your post for future reference and happy to have found your blog via #citytripping!! I really don’t know how I’ve never been to Croatia. It looks so stunning – I wanna go so bad! Oh yes that is a definite!!! We did a week sailing round the islands of Croatia and have been itching to get back to explore by land. This looks like an amazing road trip. Definitely pinning for later! Thanks – we just loved it! We enjoyed the experience – will definitely be returning! 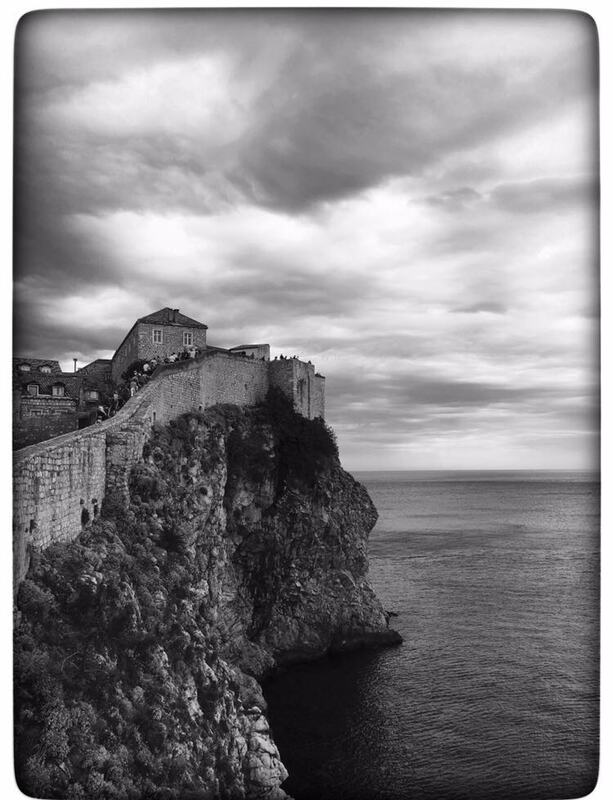 Thanks Stephanie – Croatia is amazing and it is one place we can’t wait to revisit! 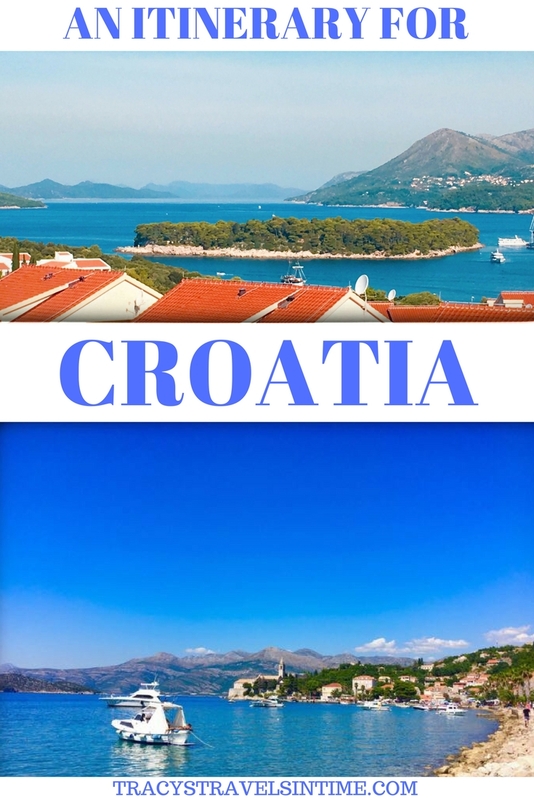 I love Croatia – have been to Dubrovnik and Split but would love to see more of the country. 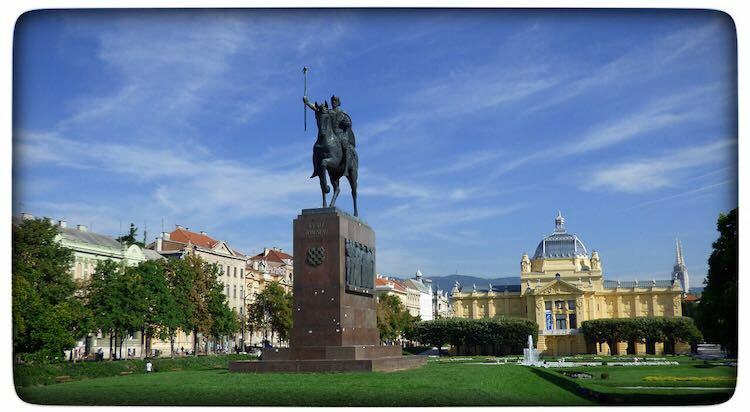 I have heard some really good things about Zagreb! Plitvice Lakes is amazing too! Great itinerary! Id love to go one day! Michael has been and really liked it! I love that your itinerary has a little mix of everything. I would add a couple extra days to see it from a far, on a boat too! 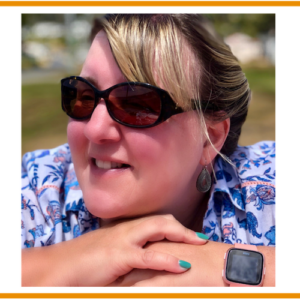 Thanks Kreete – it is a stunning country to visit!